While I was doing the Southern Wine Trail I was startled to come upon the incongruous sight of a large telescope perched at the end of one of the vineyards. Beneath it was a museum dedicated to one Grote Reber, the world’s first radio astronomer. Since we normally claim anyone who so much as spent five minutes here and went on to be successful or famous, I was very surprised that I had never heard of him. Alas, the museum was closed the day I visited, but I immediately went home to look him up. Indeed, although born in the USA, Grote Reber (1911 – 2002), inspired by the work of Karl Jansky who discovered faint radio emissions coming from the Milky Way, started building radio telescopes in 1937. In 1954 he moved to Tasmania where magnetic interference was minimal. He was not only a genius in this field but led the way in a number of others including radio carbon dating. When not listening to the stars, he studied the direction in which beans grew in various parts of the world, built himself a solar house in Bothwell and also developed an electric car. "Grote Reber was indeed the world's first dedicated radio astronomer, having built the world's first radio 'dish' in 1937 in Illinois, USA. 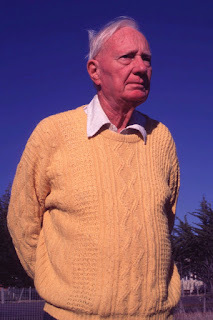 After receiving data about the ionosphere over Tasmania, he made radio observations of the sky from Cambridge, near Hobart, beginning in 1955 in collaboration with Graeme Ellis. The ionosphere over Tasmania was especially suitable for radio observaitons at low frequencies, which especially interested Reber. In 1956-57 he made measurements from Kempton and in the 1960s he built and operated a huge radio telescope array near Bothwell. It was made up of wires forming dipoles. The result of this amazing effort was the first-ever map of the southern radio sky at a frequency of 2.085 megahertz." According to Martin George, Reber was recognised with an award for his energy efficient house but is otherwise little known beyond astronomy circles. This may be because he was somewhat outspoken and his beliefs about the origin of the universe ran counter to the prevailing “Big Bang” theory. He died on the 20th of December 2002, two days before his 91st birthday and his ashes are buried in Bothwell cemetery and at various observatories around the world. Perhaps we should have an annual Grote Reber Day, where we celebrate his achievements and possibly those of other unsung ‘Tasmanians’ who have made notable contributions to science and technology. The Museum will be having a free Open Day on August 7, 2016 (11.30 a.m. to 4.30 p.m.) or if you can find nine friends they will open especially for you by contacting Karen Bradford (03) 6226 2439 or on karen.bradford@utas.edu.au. Admission is $4 per person.